Animal castrating tools for lamps calves sheep goat pig, etc. Made of top quality. ABS material handle and stainless steel docking frame, durable, long servicing time. Natural rubber material castration bands, durable, not easy to break. Castration band outer dia 14mm. 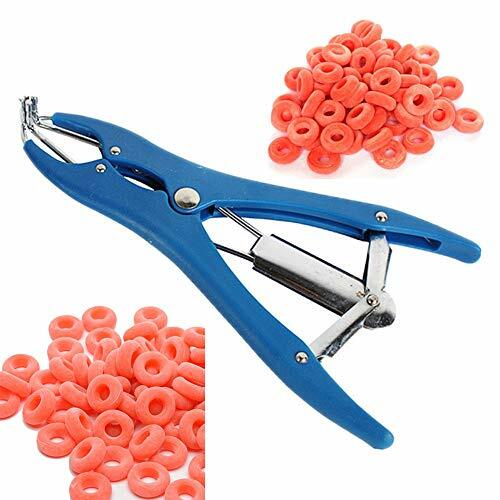 Package: 1 castration bander & 100 pcs castration rings. Could be also used as animal tail cutting plier. View More In Livestock Health Supplies.